Alicante Airport Long Term Parking S.L. Alicante Airport Parking is a well-established, fully legal, Spanish registered company founded in 1995 offering long term secure Alicante Airport parking. Situated a mere 250 metres from the airport we are the nearest off-site parking and offer a complimentary delivery and collection service. We accept all types of vehicles with savings as much as 75% over the standard airport parking prices. 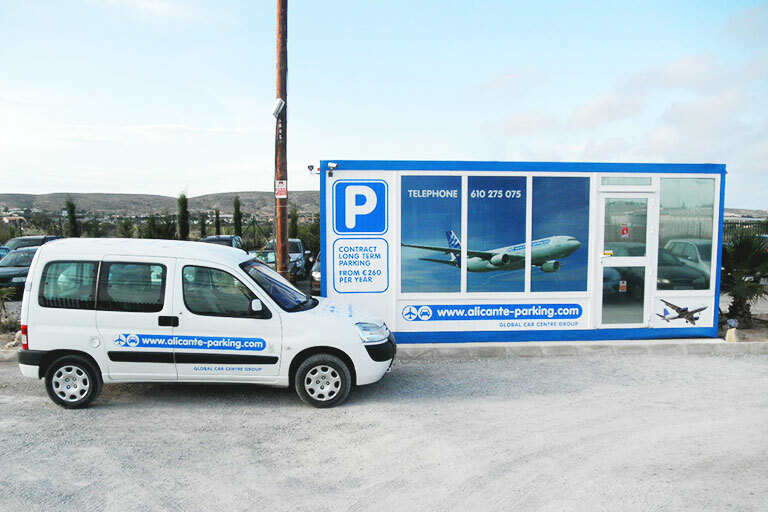 Our goal is to offer the most competitive and convenient airport parking service at Alicante airport. We now offer 12 months parking from as little as €299 per year with unlimited access to your vehicle. We are the only company to offer three different options for long term parking at Alicante airport. Parking A - Only €299 per year. Long term parking contract with vehicle delivery and collection service. You deposit and collect your vehicle at the airport's short term parking. A.E.N.A. short term parking fees are additional - €15 to be left on departure. Parking B - Only €365 per year. Long term parking contract with 15 visits/shuttle service uses per year. Parking C - Only €399 per year (€1.09 per day). Unlimited access long term parking contract with shuttle service. Ideal for frequent commuters, airline staff, large families and companies. Prices based on vehicles up to 4.5 metres. There is a 15% surcharge for vehicles up to 7 metres. Please contact us for longer vehicles. Hugely convenient being the nearest off-site car park. Complimentary shuttle bus with luggage assistance. Modifications to bookings without charge. Unlimited access for long term parking clients. CCTV and fully illuminated car park. Free assistance with battery charging and tyre inflation. We accept cash, credit card, or bank transfer. Enter the airport and continue straight to the old Terminal 2. 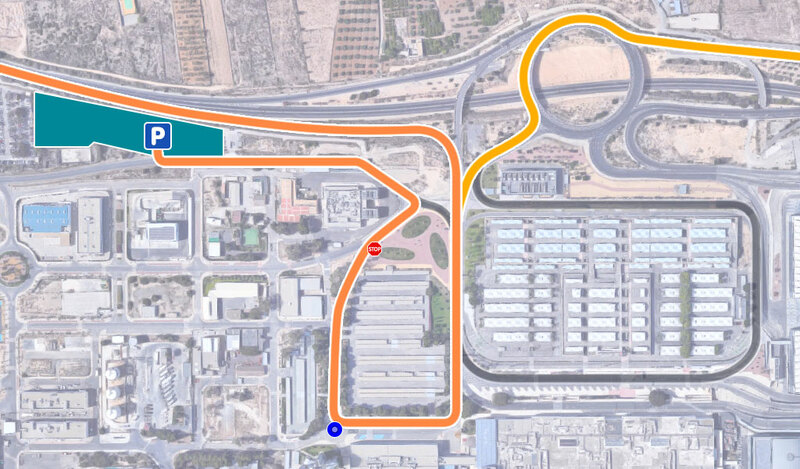 While passing the old Terminal 2 on your left, carry straight on for 50 metres until you reach a small roundabout where you take the first exit signposted "Salida Todas Direcciones". Continue for 150 metres until you reach a stop sign and you are now near to the airport entrance again. Carry straight on for a further 10 metres and take the left turn onto the Torrellano road CV852. We are the first compound on the right approximately 200 metres ahead. If you encounter any difficulty in finding us, please call us on (+34) 610 275 075 and we will assist you. Global Car Centre Group S.L.